1. Is the giveaway an illegal lottery? Financial institutions are generally prohibited from engaging in lottery-related activity, such as dealing in lottery tickets or publicizing the existence of a lottery. Lotteries consist of three elements – a prize, chance, and consideration. To avoid being considered an illegal lottery, the giveaway should eliminate one of the elements of a lottery. In most cases, the element of consideration is removed. Examples of consideration include requiring that participants make a payment or purchase, or expend considerable time or effort, in order to enter. 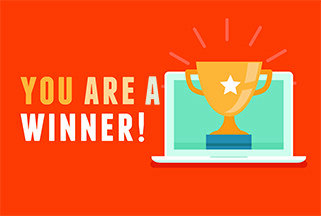 Thus, financial institutions should disclose that NO PURCHASE IS NECESSARY in connection with the giveaway and consider accepting mail-in entries as a “free” method of entry for potential entrants without internet access. 2. Do we need Official Rules for the giveaway? Definitely. The Official Rules should establish the terms of the giveaway, including eligibility requirements, the start and end dates of the giveaway, odds of winning, and the number of entries each person may receive. As long as they are clearly and conspicuously disclosed to entrants, the Official Rules act as a binding agreement between the giveaway sponsor and the participant. Financial institutions can therefore use the Official Rules to mitigate their risk by also including protective provisions such as liability limitations and indemnification requirements in the Official Rules. 3. Do we need to worry about any state law requirements? Unfortunately, yes. The law of the state where the participant resides will apply to the giveaway, and, as a result, financial institutions should be aware of the giveaway requirements in any state (or country) in which their giveaway is offered. For example, residents of New York, Florida, and Rhode Island are often expressly disqualified from participating in giveaways since those states have state bonding and/or licensing requirements that may otherwise apply to sponsors if residents of those states were eligible for the giveaways. 4. Should we be aware of any other requirements? If your financial institution is marketing a giveaway through social media (e.g., Facebook, Instagram, Twitter), you should be aware that many social media platforms have disclosure requirements for giveaways. Facebook, for example, has its own promotion guidelines, which include requiring that the Official Rules of any giveaway (or promotion) offered on Facebook contain a complete release of Facebook and acknowledge that the giveaway is in no way sponsored, endorsed or administered by, or associated with, Facebook. Each social media platform has different guidelines, so financial institutions should ensure their Official Rules contain the required social media platform disclosures. If your financial institution is planning a giveaway and would like more information about how to comply with applicable laws, please contact me at tmiller@dehs.com or 605-336-2880. Davenport, Evans, Hurwitz & Smith, LLP, located in Sioux Falls, South Dakota, is one of the State’s largest law firms. The firm’s attorneys provide business and litigation counsel to individuals and corporate clients in a variety of practice areas. For more information about Davenport Evans, visit www.dehs.com.